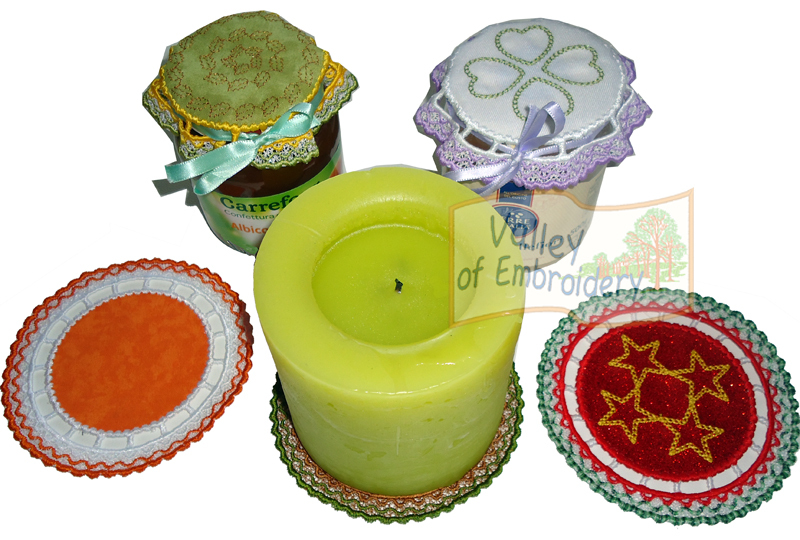 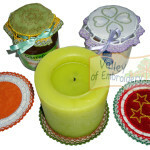 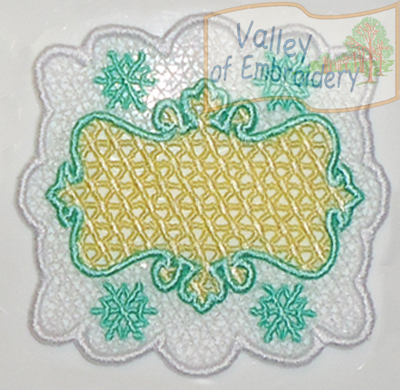 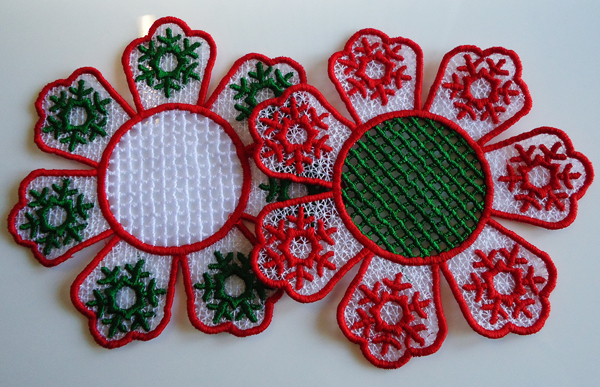 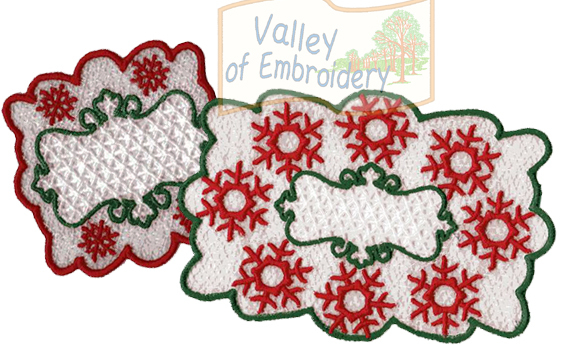 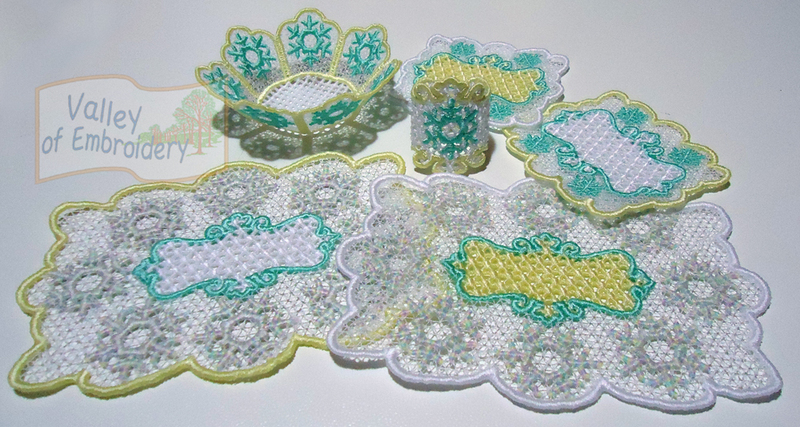 “Iced Christmas Set” – Beautiful matching set including: 1 coaster, 1 doily/mug rug, 1 bowl, 1 napkin ring. 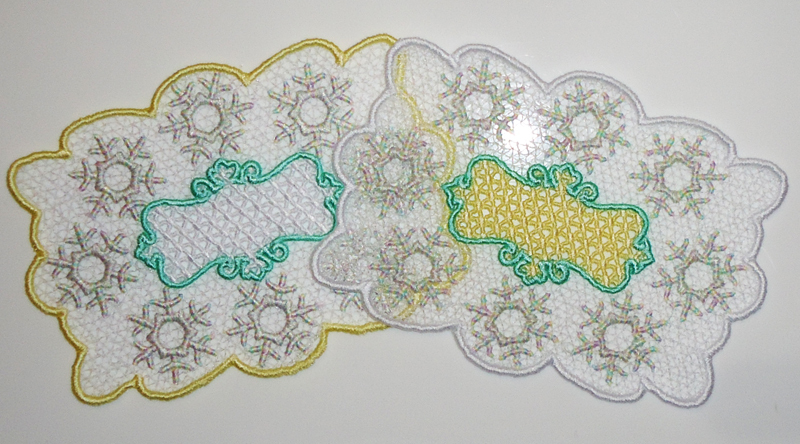 Play with colors and chose the cold-freezy delicate outfit or the classic red-white-green Christmas outfit. Make your table unique and elegant! 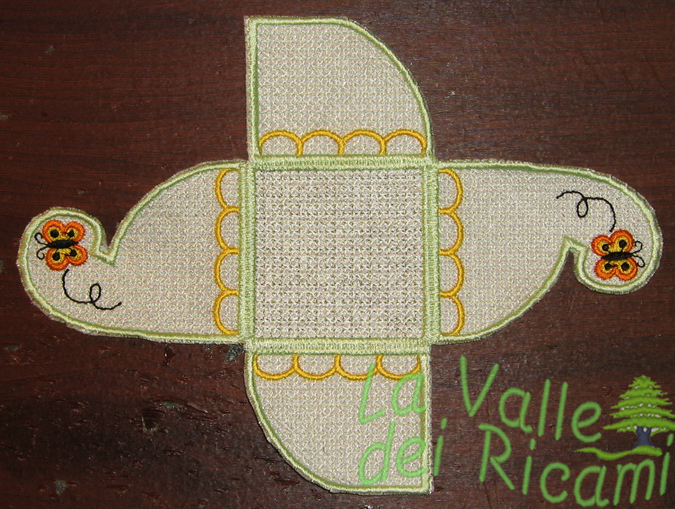 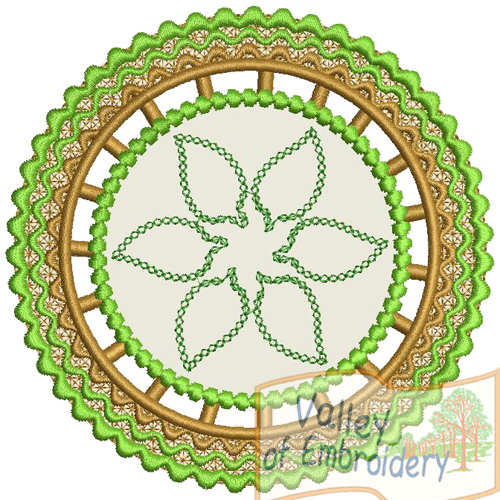 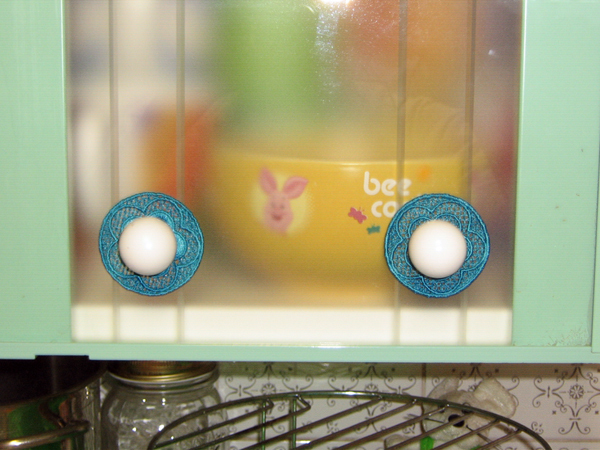 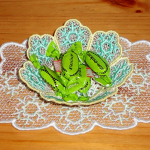 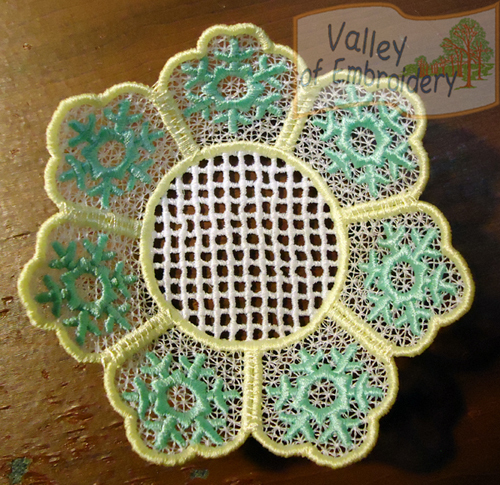 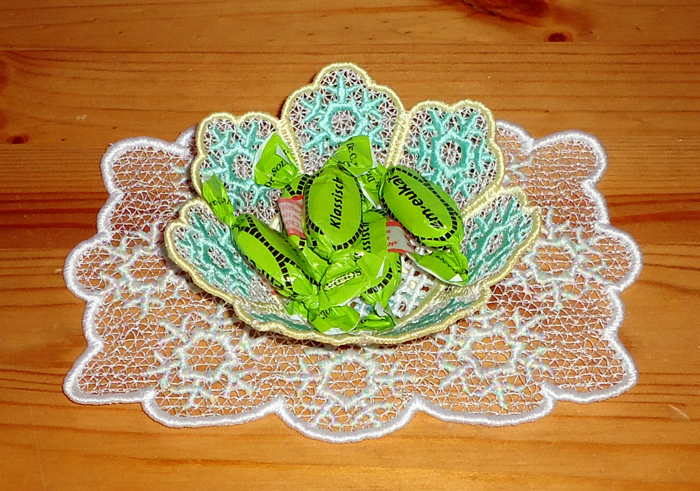 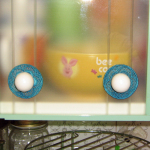 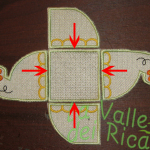 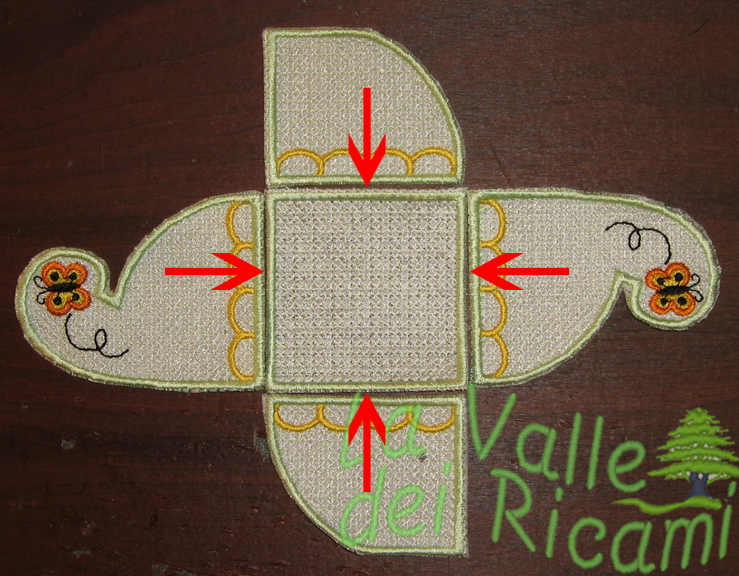 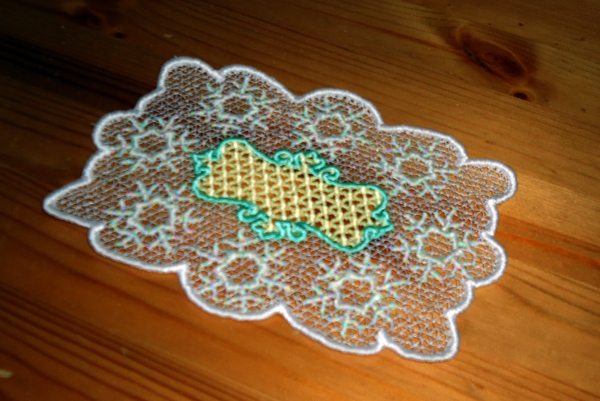 All designs fit the 4×4 hoop, but the doily which fits the 5×7 hoop. 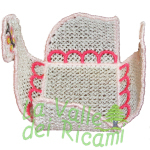 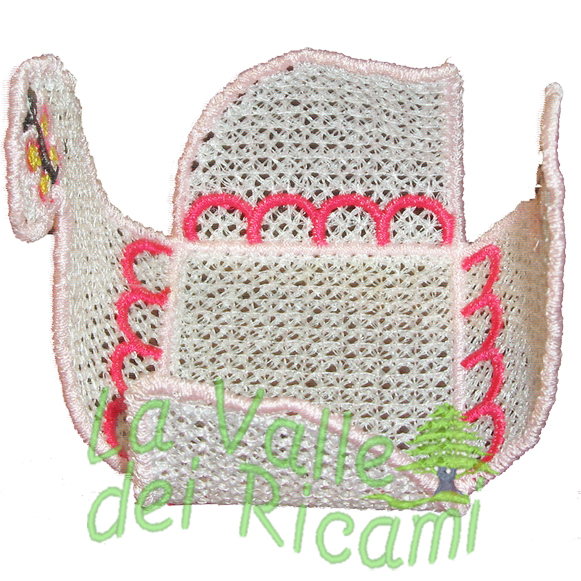 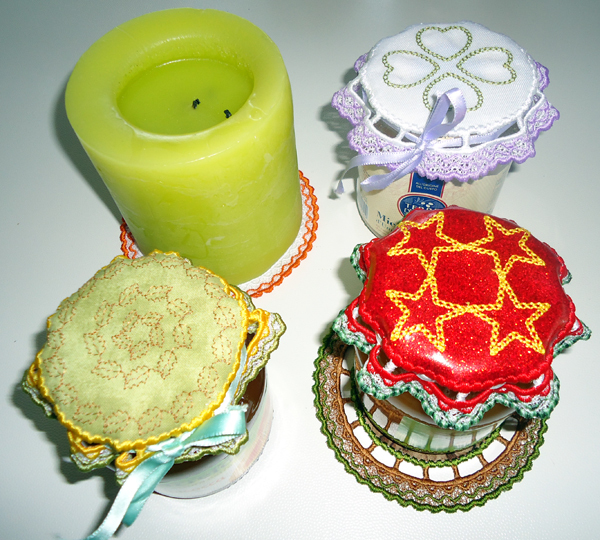 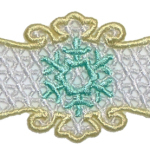 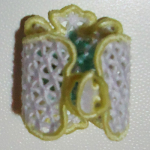 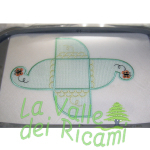 FSL ornaments – pack of 3 sizes lace boxes. 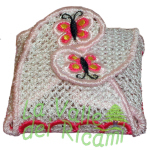 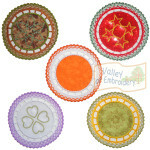 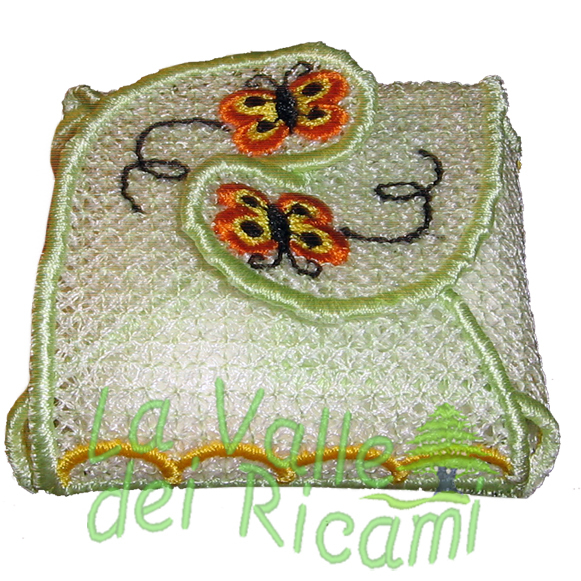 You’ll get all designs for 4×4, 7×5 and 12×8 hoop. 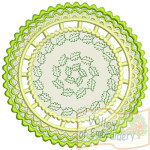 You can also purchase the single designs in this page! 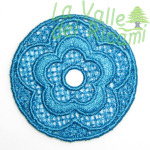 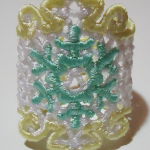 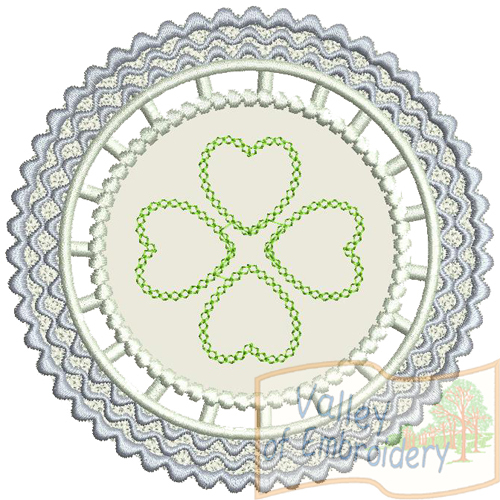 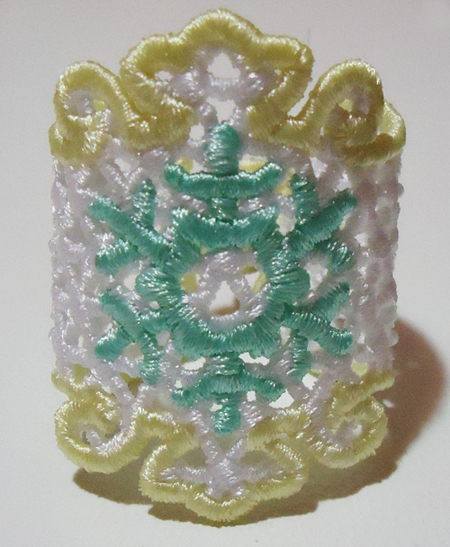 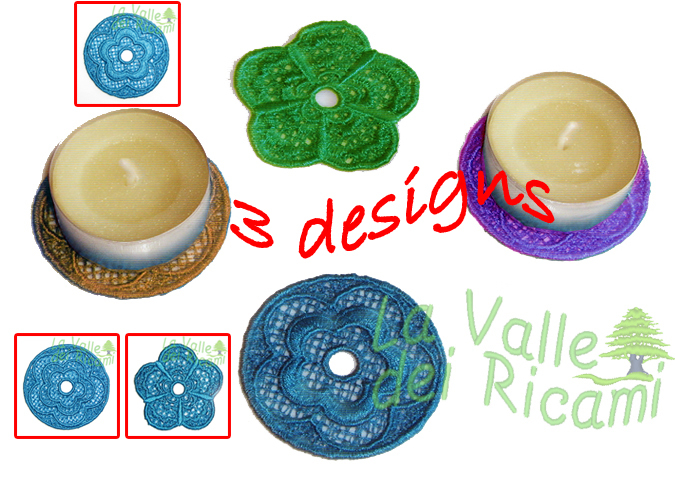 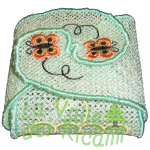 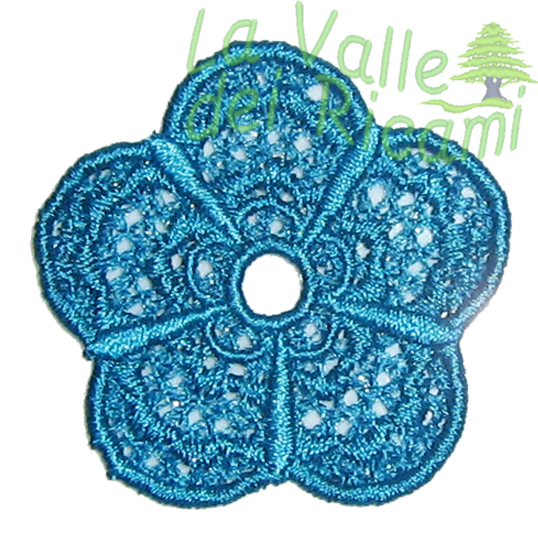 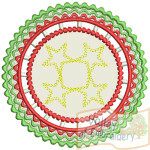 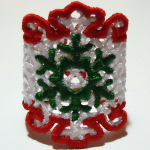 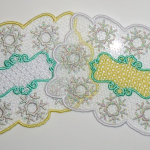 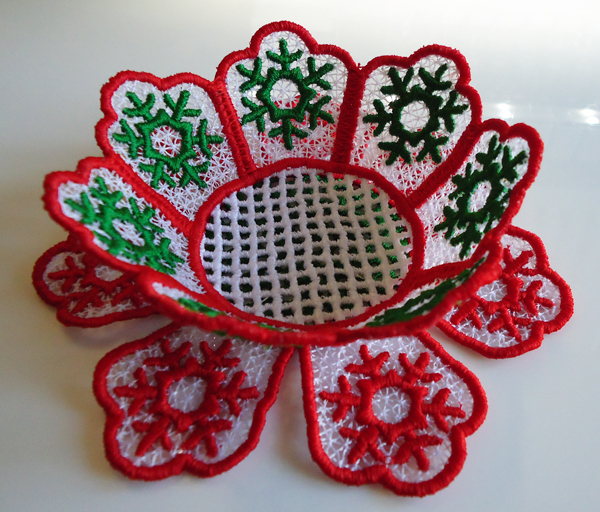 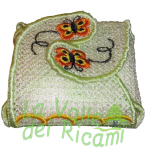 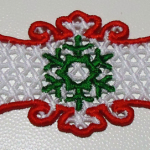 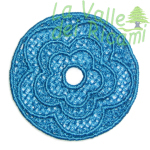 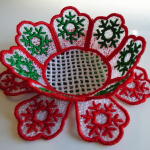 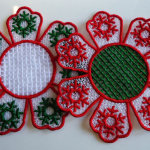 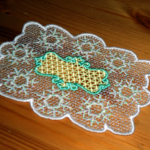 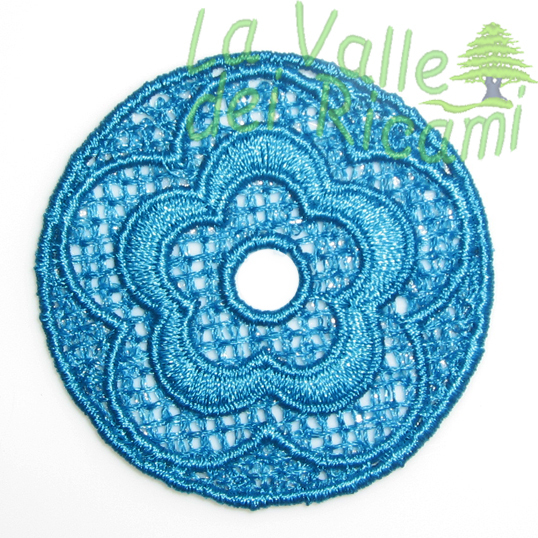 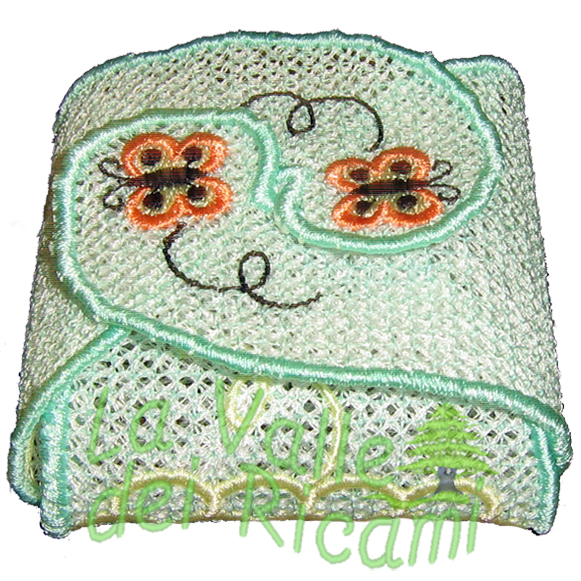 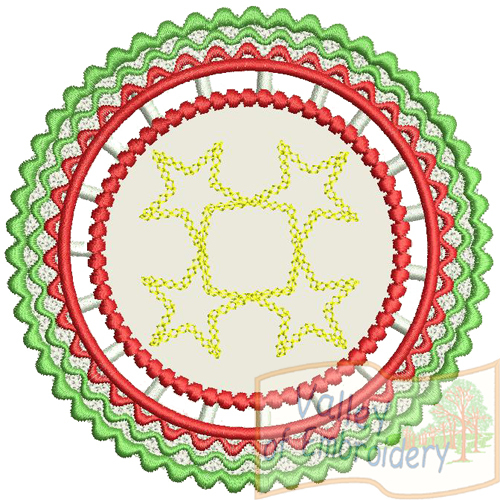 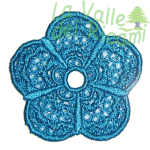 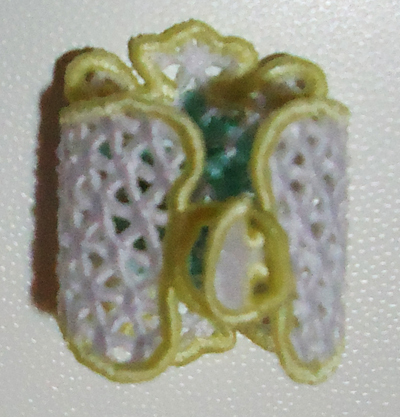 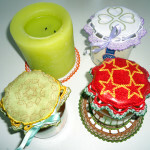 FSL ornaments – pack of 3 spool doilies, size about 2″x2″ (5×5 cm). 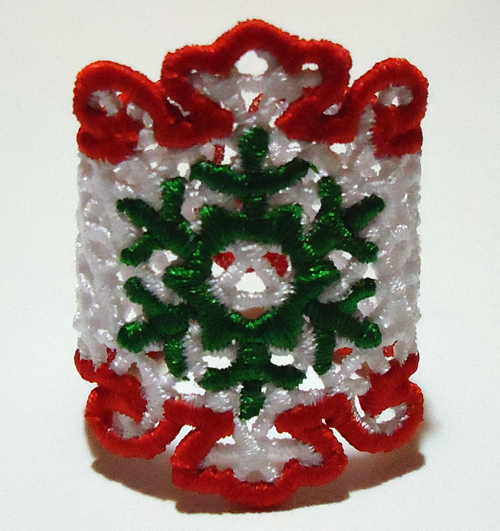 You’ll get 3 designs for 4×4 hoop.